Brixton Cycles has been voted Best Small Retailer at the London Cycling Campaign’s annual London Cycling Awards. The event, held on Wednesday July 16 in central London, commended organisations, brands and retailers for their promotion of cycling over the last 12 months. Hosted by journalist and keen cyclist Jeremy Vine, the awards were separated into two parts: Consumer Awards, which were nominated by London Cycling Campaign members and voted for by the public; and Project Awards, which were nominated by the public and chosen by a panel of independent cycling experts. Brixton Cycles was started in 1983 as a workers’ cooperative on Coldharbour Lane, before relocating to its current location next to Stockwell Skatepark in 2001. Opening in the wake of the 1981 riots, it has gained a notable reputation due to its long-standing staff, who ensure a level of experience that is not seen in many other bike shops. Speaking on behalf of the local London Cycling Campaign group, Lambeth Cyclists, Luke Evans said: “We congratulate Brixton Cycles, one of the best bike shops in South London, on winning this well deserved award. This recognises the key role that Brixton Cycles have played in keeping Lambeth’s cyclists on the road and promoting cycling over the past 30 years. Brixton Cycles is one of over 125 cycle shops across London which offer discounts to London Cycling Campaign members. Taken from Brixton Blog/Bugle, published 25 July 2014. The Minister for Civil Society, Nick Hurd MP, has told members of air ambulance charities that his ‘door is always open’. Mr Hurd MP praised the work being undertaken by air ambulance charities in the UK, who together raised £96.4 million last year through public donations and on average treat 70 patients a day by the 20 charity-funded services. The event, hosted by the chairman of the APPGAA, Guy Opperman MP, allowed local air ambulance charities and ambulance services from the UK to meet with members of Westminster to discuss their operations and key issues affecting the industry. The APPGAA, a cross-party group of MPs, was set up in 2010 to support air ambulances. Its aim is to raise the quality of care, effectiveness and efficiency of air ambulance services through closer engagement with policy leaders and policy makers. It recently led a successful campaign in the House of Commons on the relief of VAT on air ambulance aviation fuel, and is currently calling on the Government to endorse a policy of recognition of parity for all patients arrival facilities, following a report published by the APPGAA, which highlighted that 60% of air ambulance facilities in the UK are inadequate. 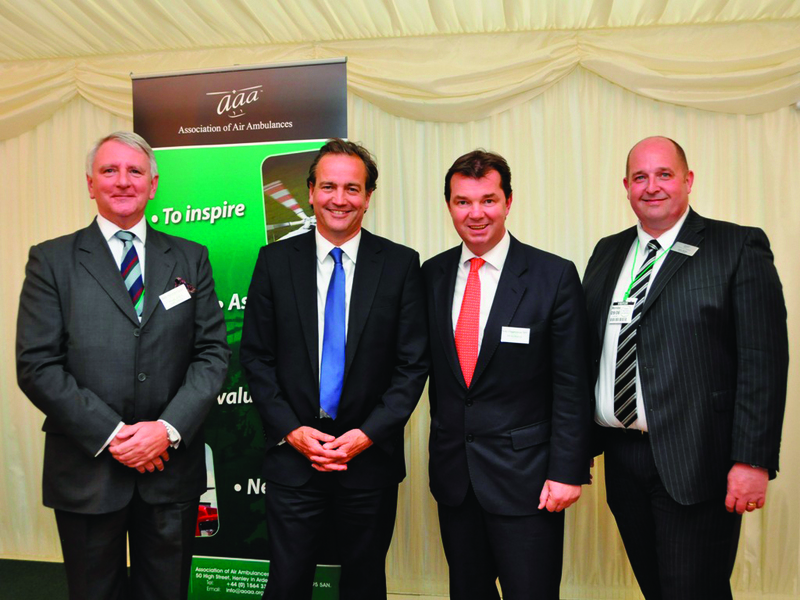 The Association of Air Ambulances (AAA) supported the reception for the second year, bringing patients, charities, ambulance services and legislators together. ‘This has been an excellent opportunity for the Great Western Air Ambulance Charity (GWACC) and our team of critical care paramedics to meet with and discuss with our local members of parliament some of the important issues affecting the organisation’s ability to deliver the patient-centred care that is so gratefully funded by the kind donations of members of the public. ‘I think they [air ambulance charities] need to lobby their MPs more, without a shadow of a doubt. They need to to try to realise they’ve got a great deal more critical mass and force then they have actually exercised previously. The reception was undoubtedly a success, giving the air ambulance community a rare opportunity to engage with legislators and members of Westminster, and make their issues heard. Taken from Journal of Paramedic Practice, published 4 July 2014. A new project launched by the Association of Ambulance Chief Executives (AACE) aims to establish how the ambulance service in the UK is used. AACE is calling for volunteers who have recently called 999 to answer questions about the occasion on which an ambulance was called and other services that may have been contacted for help prior to calling 999. The use of ambulance services has increased by 59% over the last decade, but it is still unclear as to what the specific factors are which have contributed to this change. ‘The overall aim of the review is to investigate the underlying causes of increasing demand on the ambulance service,’ said Dr Melanie Edwards, project researcher for AACE. ‘During the review, we are examining how demand has changed nationally over the past 10 years, investigating what factors have contributed to the rise in emergency ambulance demand, exploring how demand on the emergency ambulance service relates to demand elsewhere in the urgent and emergency care system, and exploring steps that could be taken to mitigate rising demand. The Department for Education has announced a plan to allow schools to purchase defibrillators at a lower cost. The Government is currently working to identify a supplier who will offer defibrillators at a competitive price, affirming that the deal will be sealed in time for the autumn term. The Department of Health estimates that around 88 children per year die of sudden cardiac arrest; however, there is currently no data on how many of these occur in schools. This announcement comes at the same time as new statutory guidance for schools on supporting pupils with medical conditions has been published. Supporting pupils at school with medical conditions covers a range of issues including developing the roles and responsibilities of those involved in supporting pupils at school, information on staff training and advice on emergency procedures. ‘There is nothing more important than keeping children safe at school. That is why this Government is today publishing updated guidance to schools on managing children with medical conditions. ‘It is crucial that schools have immediate access to defibrillators. Around 270 cardiac arrests occur in schools in the UK each year; the earlier CPR and defibrillation are administered the better the chance is of survival. Heart conditions, both diagnosed and undiagnosed can predispose a person of any age to sudden cardiac arrest. Sports and exercise at school can be a precursor to cardiac emergency and any trauma or accident can also trigger cardiac arrest. Having defibrillators and emergency action plans in place if a cardiac arrest occurs in school is very important. ‘Cost of the defibrillator is a consideration for some schools,’ she added. ‘However, it is important that its not just a defibrillator they have on the school premises, it is a complete defibrillator package that the school feels confident with and suits the needs of their school and age range of pupils. SADS UK has found that more schools are researching into the defibrillator and ancillaries and are more concerned that the defibrillator package they obtain is suitable, discussing with SADS UK how many defibrillators they need dependent on the size and layout of their school and how quickly they are able to access the equipment. Many schools have found as SADS UK organise the defibrillator for them together with initial defibrillator training this frees up valuable school administration time. ‘Even if an ambulance is parked round the corner from a cardiac arrest it can too often be too late. Devastatingly, eight minutes after a cardiac arrest, the chance of a child surviving will have decreased by 80%. Using life-saving AEDs prior to the arrival of the emergency services increases the likelihood of the child surviving ten-fold. The statutory guidance Supporting pupils at school with medical conditions, will come into effect in September, replacing current guidance issued in 2005. 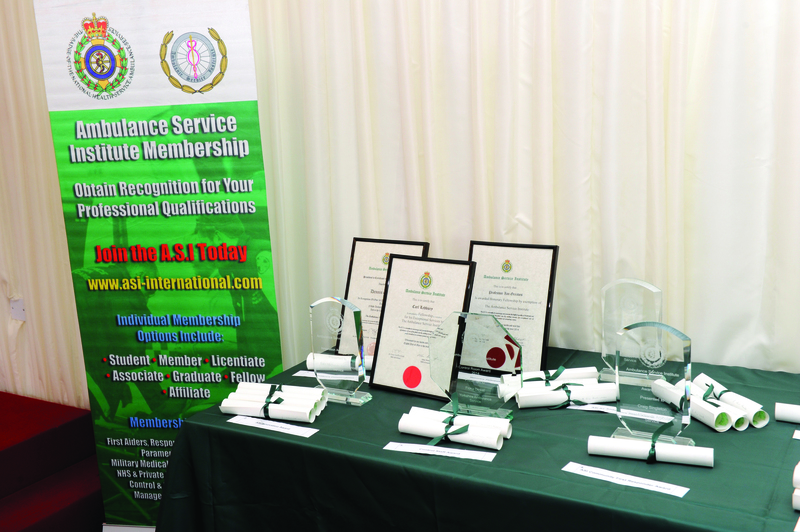 The Ambulance Service Institute recognised those in the pre-hospital care sector who have performed above and beyond the call of duty on 8 May at the Cholmondeley Room and Terrace, House of Lords. ‘I think this event is a fantastic opportunity to publicly recognise the great work of ambulance staff and all those people that support the ambulance service in our country. ‘I have been responsible for chairing the ASI Awards Committee and reading out the Award Citations since 2002 and I never cease to be amazed by the outstanding professionalism and often extreme acts of bravery that are detailed in the nominations. A new national specialist transport and retrieval service for critically ill patients has been launched in Scotland this month. The project, named ScotSTAR, brings together the existing three transport and retrieval services: the Scottish Neonatal Service, the Transport of Critically Ill and Injured Children Service and the Emergency Medical Retrieval Service, with the Scottish Ambulance Service, which co-ordinates the teams and road and air ambulances. It is hoped that a centralised and co-ordinated approach will create opportunities for greater shared working, training and education of staff and bring efficiencies and consistency to the way in which some of the most critically ill patients are transported. ‘This world-class dedicated approach will benefit critically ill patients, by providing a single specialist integrated service across Scotland. The teams, which are based in the West will move into a purpose built facility at Glasgow airport next year, where the new air ambulance base is situated. Taken from Journal of Paramedic Practice, published 28 April 2014.